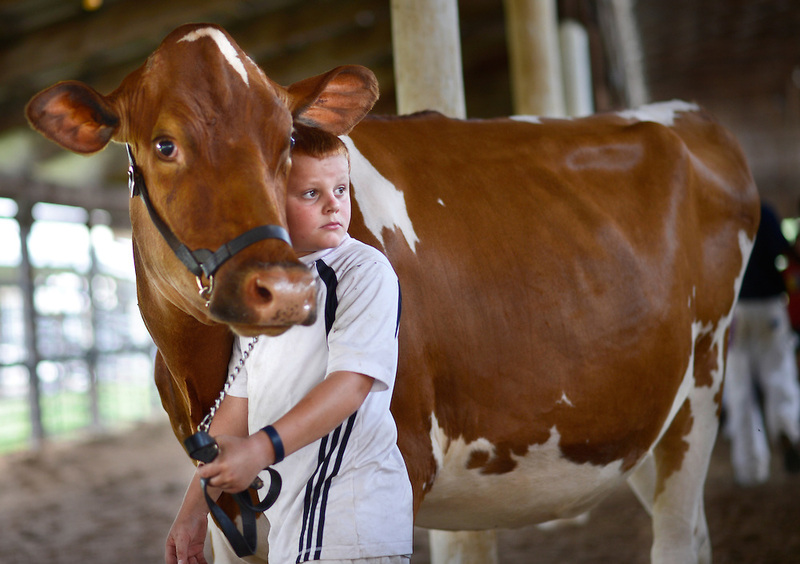 All eyes and ears turn to the judge as Eli Moore, 9, steadies a red and white Holstein during the dairy judging at the Heart of Illinois Fair Tuesday. Moore, of Bartonville, and his brother, Brandon, 12, were showing for their friend, Dylan Bontz, who broke his ankle recently and was unable to attend the competition. Neither of the brothers had ever been in a show competition before.